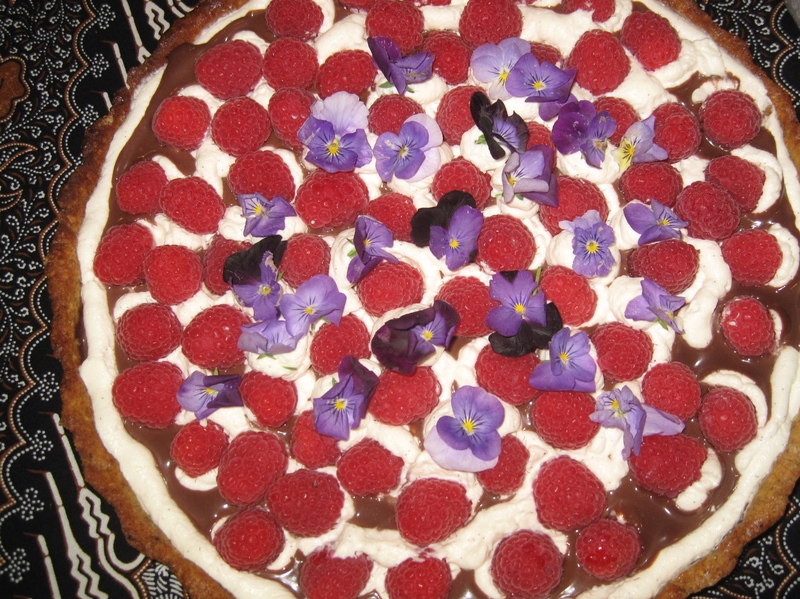 And after the phenomenal Savoury Polenta Tart Tatin… we are back to sweet again! I have been wanting to bake these little chocolate cookies for ages now. The recipe is in the wonderful book, Confections of a Closet Master Baker by Gesine Bullock-Prado. Say the name of that book, out loud, three times fast, and have a good giggle! It sets the tone for the entire read – funny, intelligent and immersed in the pleasures of baking. I really resonated to the story in this book because Bullock-Prado had the bravery to changer her life mid-stream, to acknowledge who she was, and what her true calling was – baking. Its kind of what I am doing now, and its terrifying, but its also so incredibly joyous. 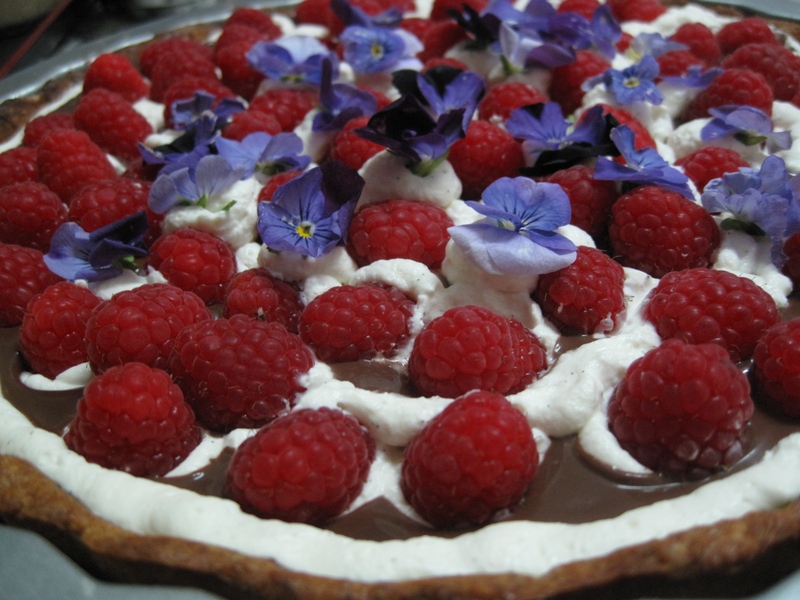 I love the stories in the book, because they are so intensely personal – memories of her father, and their shared passion for good food, loving memories of her mother, her elegance, her charm, and her ability to bake the most gorgeous cakes, memories of her grandmother and aunts in Europe, and learning what afternoon coffee was all about. This book is a series of stories that enables us to look into Bullock-Prado’s life and understand who made her who she is today – and who gave her her passion for baking. Starry Starry Nights are a gluten-free chocolate cookie, made with almond meal, sugar, honey, chocolate, eggs and cocoa powder. They are incredibly easy to put together – but its the waiting that drives me crazy. In order for these perfect, dark chocolate, baked truffle morsels to bake up properly, you first need to refrigerate the dough so it can set up, and then you need to freeze the little cookies for about 2 hours so that they are rock hard when they go into the hot oven. Dipped twice in sugar, they have a crackly nubbly exterior, glistening with sugar stars. The interior is like nothing I have ever tasted before – deep dark chocolate, beautiful and delectable. I think I am going to try and have a bag of these in the freezer at all times – ten minutes to baking so I should never be caught wanting! Try them… and buy the book. Its wonderful, smart and funny and the recipes will make you drool. And if you want to check out a demo of how to bake Starry Starry Nights (complete with mimosas!) check here! Chop the chocolate and put in a metal bowl with the butter. Fill a saucepan about 1/3 full of boiling water, and put over medium heat. Place the bowl over the saucepan and gently mix the chocolate and butter together, mixing gently to incorporate the butter into the chocolate. Set aside to cool for a moment. In the bowl of a stand mixer, combine the eggs, sugar and honey. Whisk for at least five minutes, or until the eggs have turned creamy and golden, and have quite a bit of air incorporated into them. In a small bowl, combine the ground almonds, salt and cocoa powder. Using a silicone spatula, fold the almond mixture into the melted chocolate. Make sure everything is incorporated well. Once the eggs have been whisked to a creamy, ribbony, golden consistency, fold about 1/4th into the almond-chocolate mixture to lighten everything up a bit. Fold in the rest of the eggs, and refrigerate the batter to let it firm up. You need to let it sit for at least an hour, preferably 2. Once the mixture has firmed, prepare a cookie tin by lining it with parchment paper. Put a couple of tablespoons of sugar in a bowl. Remove the batter from the fridge, and use a very small cookie scoop or a melon baller to scoop out small balls of dough. Roll the cookies in the sugar, and place neatly on the parchment paper in the cookie tin. Continue doing this until you have completely used up all the dough. Freeze the mini cookies for at least two hours. If you have 40 – 80 cookies, you will need to bake in batches. I prefer doing a few at a time – about 20 – 25. Once the cookies have frozen through, remove them from the freezer. Preheat your oven to 180C (350F). Line a second cookie pan with parchment paper, and put a couple more tablespoons of sugar in a little bowl. Working quickly, roll the cookies in sugar for a second time, and place them on the second prepared cookie pan. Put the rest of the (unrolled) cookies back in the freezer. Remove from the oven and let cool in the pan, on a rack, for a few minutes before transferring to a plate, or your waiting hungry mouth. I am on a mission – to find the blackout cake of my childhood. My sister and I had this amazing cake when we were little – it was served in the embassy where we grew up. We used to watch like hawks when it was served, to see if we could shave infinitesimal amounts off the cake to share. We always got a slice, but we always wanted more. Our mother used to order it in these large logs – and we had at least 2 or 3 as “back up” desserts in the freezer room downstairs. 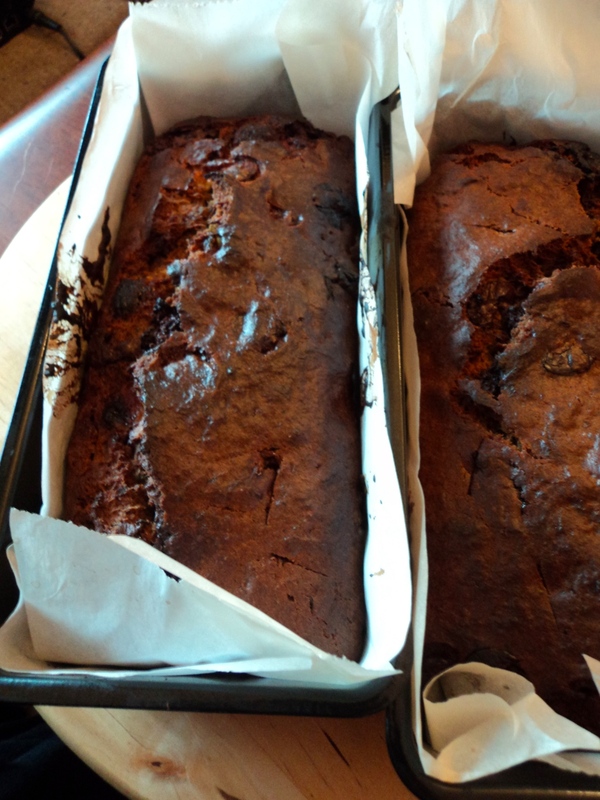 My sister and I used to dream of that cake … and when I realised that it was a form of blackout cake, I decided to test a few. 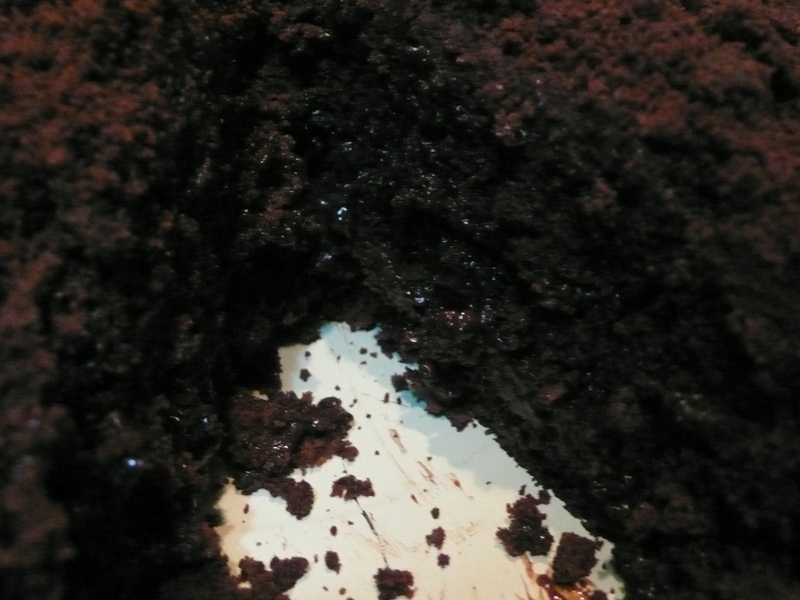 Last week, I made the blackout cake from The Week, by Jeremy Sauer from Cook’s Country. It was delicious but it lacked a certain something. It was too sweet, and I think too milky. The pudding was made with a cream/milk mixture, and while it was phenomenal, it wasnt the cake of my childhood and my memory. This week, I decided to try Molly O’Neill’s blackout cake from her book, The New York Cookbook: From Pelham Bay to Park Avenue, Firehouses to Four Star Restaurants. If last week’s cake was a chocolate extravaganza, this week’s cake was a chocolate obliteration. No milk, save for a little in the cake, and dark as a blacked out night. Seriously. 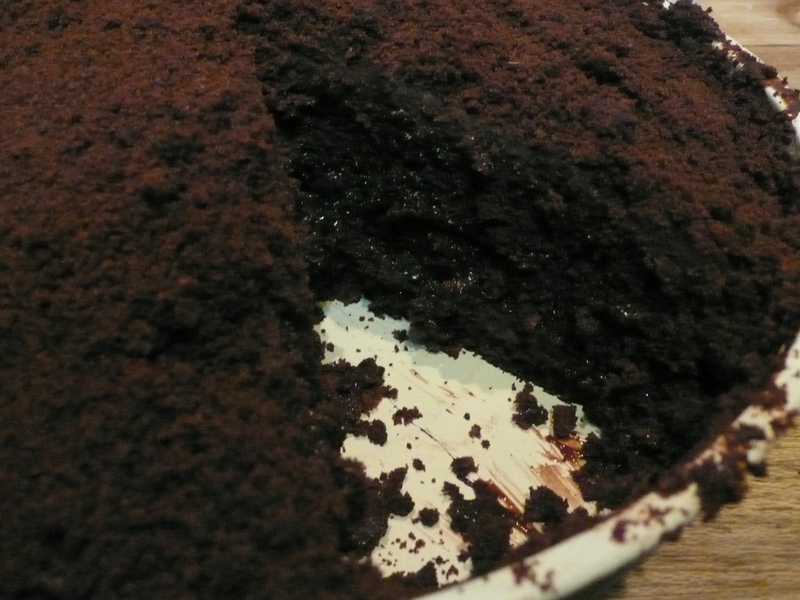 The cake is so dark, that you can only tell its been cut if you look at it from the top. Its dark dark dark. 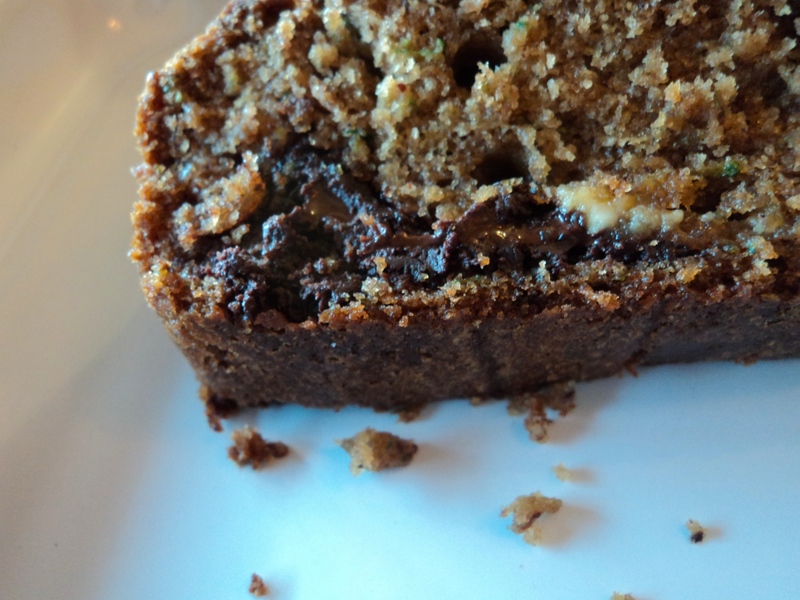 It was overwhelming favoured by my taste testers – they loved the deep dark chocolate layers, the balance between chocolate and sweetness, and the textures of the cake, pudding, topping and crumbs. It is truly a phenomenal cake. It comes much closer to the cake of my memory, but I think it might need more of a touch of bittersweet – next time I make it I think I will adapt it with a bit of coffee. As Ezril said, “Eating this cake is an intense experience!” Making it was pretty intense as well. I love baking, but this cake… so many different processes involved in creating all the layers, the custard/pudding and the topping. The cake itself not only creamed the sugar, and bloomed the chocolate and chocolate powder, but also needed whipped egg whites folded in. By the end, I was covered head to toe in flour, chocolate and butter. I could have baked myself! I learned an important lesson. Even though I read the recipe many times over, and I knew what I was in for, I think I would have been better served if I laid out my ingredients, measured them out, and then started to cook. As it was, there was a fair bit of chaos, and a fair bit of mess. Given all of that, it was worth it. 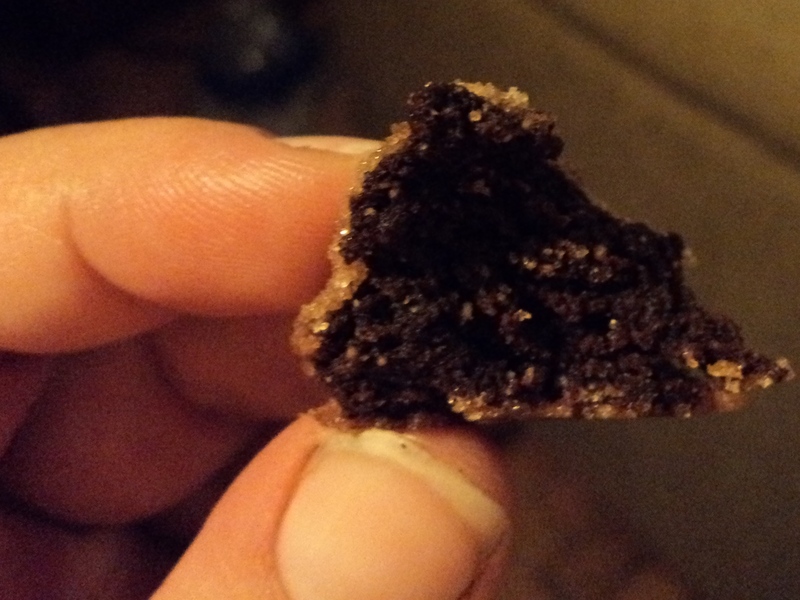 Delicious, deep, dark chocolate cake, layers of pudding, a bittersweet glaze, and the rubbly texture of the crumbs on top. Wonderful and very very satisfying! Preheat oven to 190C degrees. Butter and lightly flour two (8-inch) round cake pans. Place cocoa in a small bowl and whisk in boiling water to form a paste. Combine the chopped chocolate and milk in saucepan over medium heat. Stir frequently until the chocolate melts, about three minutes. Remove from the heat. Whisk a small amount of the hot chocolate milk into the cocoa paste to warm it. Whisk the cocoa mixture into the milk mixture. Return the pan to medium heat and stir for one minute. Remove and set aside to cool until tepid. In the bowl of a mixer, cream the butter and sugar together. Beat in the egg yolks, one at a time, and the vanilla. Slowly stir in the chocolate mixture. Combine the flour, baking powder, baking soda and salt. Using a spatula or a wooden spoon, slowly add the flour mixture to the chocolate mixture. Fold in until just mixed. In another bowl, whisk the egg whites until soft peaks form. Using a spatula, gently fold the egg whites into the batter. Divide the batter between the prepared pans. Bake until a toothpick inserted in the center comes out clean, 45 minutes. Cool the cakes in the pans on rack for 15 minutes. Gently remove the cakes from the pans and continue to cool. Note: in my oven the cakes only took 30 minutes to bake. Check after half an hour as timing and heat can vary widely. While the cake is baking, combine the cocoa and boiling water in a small saucepan over low heat. Stir in the sugar and chocolate. Add the dissolved cornstarch paste and salt to the pan and bring to a boil, stirring constantly. Boil for one minute. Remove from heat and whisk in vanilla and butter. Transfer the mixture to a bowl, cover and refrigerate until cool. Note: I added 100 g chopped bittersweet chocolate to this filling as I felt it was not chocolatey enough. I added it just before adding the cornstarch paste. I used the maximum 4 tbsp cornstarch, and it was just fine. I also sieved the pudding to make sure there were no lumps. Melt the chocolate in a double boiler over hot, not simmering, water, stirring until smooth. Remove the top of the double boiler from the heat and whisk in the butter, one tablespoon at a time. Return the top to the heat, if necessary, to melt the butter. Whisk in the hot water all at once and whisk until smooth. Whisk in the corn syrup and vanilla. Cover and refrigerate for up to 15 minutes before using. Use a sharp serrated knife to slice each cake layer horizontally in half to form four layers. Set one layer aside. Place one layer on a cake round or plate. Generously swath the layer with one-third of the filling. Add the second layer and repeat. Set the third layer on top. Quickly apply a layer of frosting to the top and sides of the cake. Refrigerate for 10 minutes. Meanwhile, crumble the remaining cake layer. Apply the remaining frosting to the cake. Sprinkle it liberally with the cake crumbs. Refrigerate for at least 1 hour before serving.